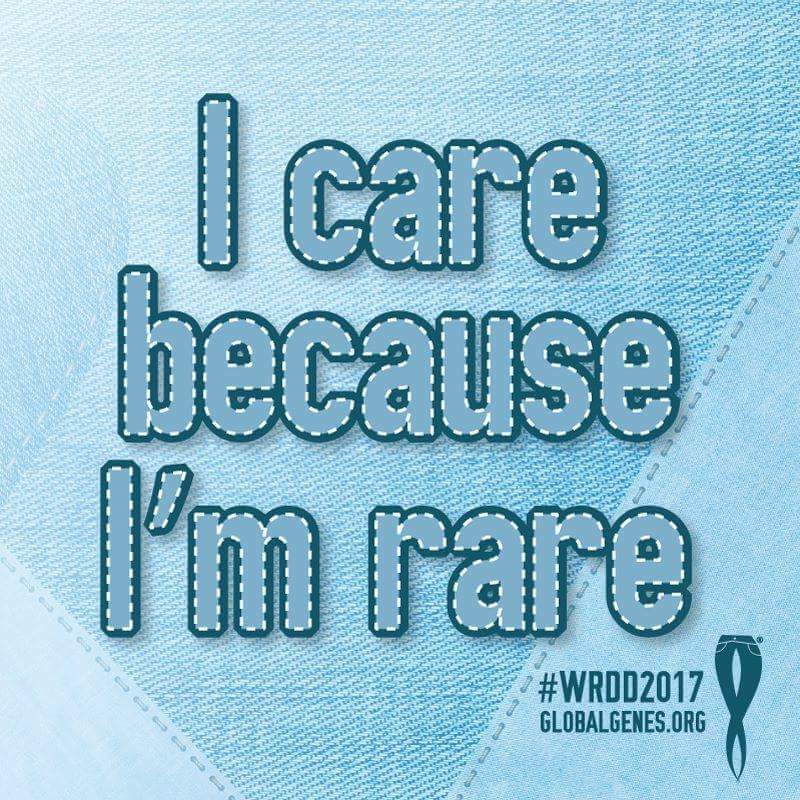 On February 28th, people around the world will observe Rare Disease Day. To find out what’s happening around the U.S. and in your state, visit the national website hosted by NORD. Events are planned in state legislative buildings in more than 30 states to promote awareness of issues. In addition, special events are taking place on many university campuses and in schools and hospitals. Post your event here and read a state-by-state overview. You are invited to a tweetchat on Rare Disease Day (Feb. 28th) hosted by NORD, The Mighty and Boston Children’s Hospital to discuss “What to do if You or Your Child Receive a Rare Disease Diagnosis.” Use hashtag #RDD18Chat. The chat runs from 1 to 2 pm ET. NORD will be live-tweeting from @RareDiseases. Co-hosts will be @TheMightySite and @BostonChildrens. Special guests will include Marsha Lanes MS, CGC, Genetic Counselor and Medical Editor on the NORD staff; Phillip L. Pearl MD, Director of Epilepsy and Clinical Neurophysiology at Boston Children’s and Ashanthi De Silva, Rare Disease Editor for The Mighty. Applications are available for a rare disease summer family camp in Connecticut on which NORD is partnering again this year with The Hole in the Wall Gang Camp. The camp provides a special opportunity for children and families affected by rare diseases to join together for a weekend of pure fun, free of charge. Family Camp is open to 25 families who are located in the Northeast. It will take place May 31-June 3 in Ashford CT. Apply here. NORD and 40 other patient organizations and professional societies have sent a letter to the leadership of the U.S. House of Representatives explaining why they oppose “Right to Try” legislation currently being considered by Congress. Signers of the letter include the American Society of Clinical Oncology, Leukemia & Lymphoma Society, American Lung Association and National Health Council. The organizations say they support patients being given access to unapproved therapies but believe the bills under consideration won’t increase patient access. A documentary film featuring the cross-country bike ride of two young men living with Friedreich’s ataxia, “The Ataxian”, will be screened in Washington DC as part of the Rare Disease Day activities. In addition, it will be available to the public beginning Feb. 26. Kyle Bryant and Sean Baumstark and their team’s legendary bike ride across America are featured in the film. Beginning Feb. 26th, the film will be available on iTunes and other download sites. NORD has been advocating for the Iowa Co-pay Choice Bill (SSB 3004). This legislation would help with rising out-of-pocket costs. Specifically, SSB 3004 gives choice and co-pay predictability to Iowa families by requiring that insurance providers offer a minimum number of plans that provide a traditional co-pay option, as opposed to co-insurance. NORD will continue to advocate for this legislation throughout February. NORD has been, and will continue to be, engaged in a number of activities to protect access to quality healthcare coverage for Medicaid beneficiaries. Most recently, NORD has submitted comments to the Centers for Medicare and Medicaid Services (CMS) regarding Kansas’ effort to implement work requirementsla and a lifetime limit in its Medicaid program. Read the comments. The ALGSA is again offering the Alaina Kaitlyn Hahn Celebratory Scholarship for students with Alagille syndrome. Applications are being accepted now. The scholarship funds the education of high school graduates or GED credential recipients with ALGS who are enrolled in or entering an accredited U.S. university, college or vocational school and choose to pursue higher education in the human biological, medical or health sciences. Write to alagille[@]alagille[. ]org and include AKH Scholarship in the subject line to request application materials. Abstracts are currently being acceptedfor the Cornelia de Lange Syndrome Foundation’s 8th Biennial Scientific and Education Symposium. The meeting will take place June 27-28 in Minneapolis. Attendees include physicians in various clinical disciplines, genetic counselors and research scientists. The meeting encourages interactions between basic and clinical scientists. The John W. Walsh Translational Research Award has been granted to Joseph Kaserman MD, instructor of medicine at Boston University School of Medicine and a physician in Pulmonary, Allergy, Sleep and Critical Care Medicine at Boston Medical Center. The award was established in memory of John Walsh, co-founder of the foundation who dedicated his life to seeking a cure for alpha-1 antitrypsin deficiency. More. The Foundation for Sarcoidosis Research has issued a press release about a survey on chronic pain, neuropathy and medications for sarcoidosis patients. The survey provides information related to chronic pain experienced by those living with sarcoidosis and the opioid epidemic. Read the press release. The Jack McGovern Coats’ Disease Foundation has established a national tissue biobank at the Wilmer Eye Institute of Johns Hopkins Medicine to facilitate research on the causes of, and most effective treatments for, Coats’ disease. This rare disorder affects the retina and has been diagnosed in children as young as four months. More. The MDS Foundation hosts forums at locations around the U.S. for newly diagnosed patients, long-term survivors or caregivers affected by myelodysplastic syndromes. Medical experts present information on treatment options and strategies for living with MDS. View the dates and locations. July 13-15 will be the dates of the biennial conference of the Osteogenesis Imperfecta Foundation. To take place in Baltimore, the program will feature forums with leading experts, practical living advice and research. The 9th International Scientific Workshop of the Progeria Research Foundation will take place September 20-22 in Cambridge MA. This event promotes collaboration among basic and clinical scientists toward progress in progeria, cardiovascular disease and aging research. Information and registration. <a “title=”Does Michael Phelps Have Marfan Syndrome?” href=”http://www.raredr.com/news/michael-phelps-marfan?t=physicians”>Does Michael Phelps Have Marfan Syndrome? Copyright © RareDR 2013-2018 Rare Disease Communications. All Rights Reserved. Abstracts are currently being accepted for the Cornelia de Lange Syndrome Foundation’s 8th Biennial Scientific and Education Symposium. The meeting will take place June 27-28 in Minneapolis. Attendees include physicians in various clinical disciplines, genetic counselors and research scientists. The meeting encourages interactions between basic and clinical scientists. My feelings are that, just so so. I ask myself, have I done all I can do? Things have not went as planned. I believe I have lost faith in the people of my state of Delaware. No matter how much I advocate for Sarcoidosis and its affects on its patient’s that battle it everyday, no one seems to care more than me. I guess because I am literally fighting for my life. Each year my body gets weaker and weaker as more areas of my body are attacked. Especially this year. So I ask people to help with the various tasks to get the word out and to get people registered for the 5k event this weekend coming. My count is menial. I receive updates daily from FSR and they never change. I have invited our States dignitaries and also my medical teams. Invites sent in every means available. No responses except from one, Senator John Carpenter. His team told me that he couldn’t make the event but he would make time for me as soon as everything settled down in D.C. I appreciated that. At least he took the time to reach out. Usually I received a proclamation by this time. None… I am so disappointed in my State. They turn out for cancer all the time. They just had a huge event for autism. I applaud both of those turn outs, but okay my cause matters as well and it is affecting hundreds of people of all ages and nationalities here in this State. We need support. Sarcoidosis is a rare disease that is unknown, incurable, debilitating, underfunded and sometimes deadly. So am I wrong for losing faith? Having invested monies that I don’t truly have to get the word out so that we Sarkies can get help raising awareness and hopefully acquiring donations towards finding a cure; disappointment and hurt is what I feel. Like no one cares if I lived or died. According to the Oscar nominee, his friend witnessed Trump use the “N-word” to ask about a sexual encounter with a Black woman. Something to keep me busy and able to make money to help offset my medical expenses was presented to me by another Warrior. I am love with this venture! It allows me to sell wonderful products that I use and make money from the comfort of my own home. Many of you know that I am battling a rare and incurable debilitating illness known as Sarcoidosis. Because of this my mobility and living with 24 hr. oxygen support has deemed me disabled. Well with medical expenses increasing each day, I had to find a way to offset that and thanks to my Sister/Friend and fellow Sarcoidosis Warrior, I was presented with a golden opportunity.